MANILA, Philippines - An extremely dangerous Hurricane Patricia, with intensity comparable to Typhoon Haiyan (Yolanda) lashed Mexico's Pacific coast Friday evening (local time). 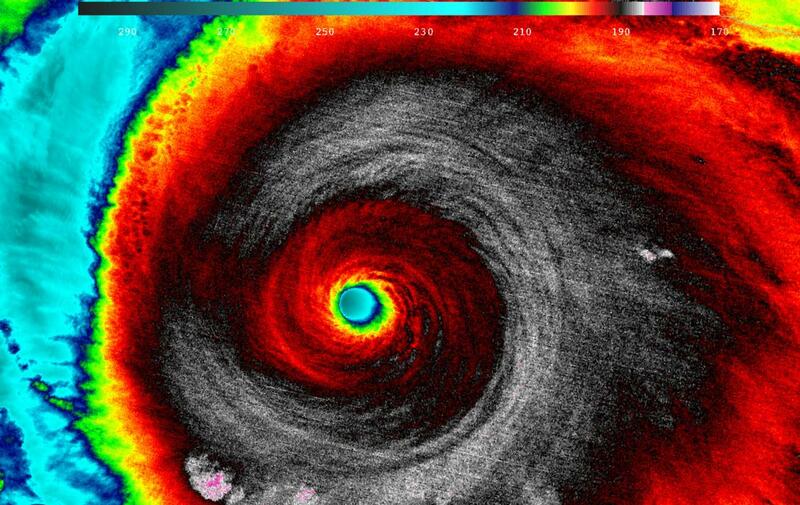 The monster storm Hurricane Patricia bring catastrophic damage after its landfall at 6:15 p.m. CDT near Cuixmala in Jalisco state. The maximum sustained winds at landfall were estimated at 165 mph. 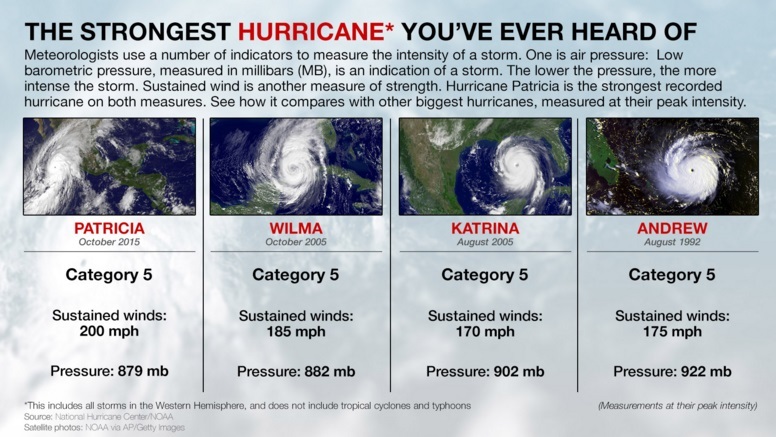 The U.S National Weather Service says it has central pressure of 880 millibars (25.99 inches of mercury) and maximum sustained winds that peaked at 200mph (325 kph) on Friday. Patricia broke the record of 882 millibars set by Wilma almost exactly 10 years ago. Typhoon Yolanda which hit Eastern Visayas in 2013 had 195 mph sustained winds when it made landfall. An estimate of 6,000 people died due to strong winds and storm surges. A hurricane is a tropical cyclone, occurring in the North Atlantic Ocean or the Northeast/North-Central Pacific Ocean, east of the International Dateline.